Balbir is Professor of Software Engineering at Middlesex University. Following a PhD in Computer Science from the University of Bath, Balbir embarked on an industrial research career of over 15 years working in the various research labs at Marconi, Texas Instruments and Sterling Software where he was involved in the research and design of leading software products such as the IEF. 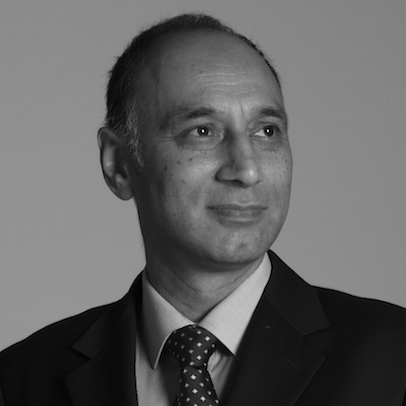 Balbir joined Middlesex in 2008 as Associate Dean for Business in the School of Engineering and Information Sciences after an earlier academic role as Head of Department and Professor of Computing at th University of West London. Balbir has been a principal investigator on research projects totalling over £1.5M. He has also provided consultancy to prestigious clients such as JP Morgan Chase and JISC. Teaching interests include: Requrements Management; Systems and Software Modelling; Software Engineering and Knowledge Management. My research contributes to software engineering and information systems primarily through research that enables the delivery of software tools and processes that promote business change or increase productivity. This theme has been an on-going thread for over 24 years and includes contributions to leading commercial products such as the IEF at Texas Instruments. Recent research projects have focused on model driven software engineering where the goal is to use models as abstractions and execution environments to support, for example, enterprise architecture and software design. This also includes a return to a more fundamental philosophical position around "theory building". Some of this work draws input from both the Philisophy of Fiction and Legal reasoning (Argumentation). Barn, Balbir and Barn, Ravinder (2018) Human and value sensitive aspects of mobile app design: a Foucauldian perspective. In: CAiSE 2018 30th International Conference on Advanced Information Systems Engineering, 11-15 June 2018, Tallinn, Estonia. Barn, Balbir and Barn, Ravinder (2018) Towards a unified conceptual model for surveillance theories. In: 40th International Conference on Software Engineering Software in Society Track, 27 May - 03 Jun 2018, Gothenburg, Sweden. Nwokeji, Joshua Chibuike and Aqlan, Faisal and Barn, Balbir and Clark, Tony and Kulkarni, Vinay (2018) A modelling technique for enterprise agility. In: HICSS-51 The 51st Hawaii International Conference on System Sciences, 03-06 Jan 2018, Hawaii, USA. Clark, Tony and Barn, Balbir and Kulkarni, Vinay and Barat, Souvik (2017) Querying histories of organisation simulations. In: 26th International Conference on Information Systems Development (ISD2017 CYPRUS), 06-08 Sept 2017, Larnaca, Cyprus. 2013: £150,000: "MAYOT: Mobile Applications for Youth Offending Teams". Nominet Trust. (PI). A project in collaboration with Royal Holloway, University of London aiming to develop software tools for helping Case workers in their support activity with youth offenders. This project has the backing of the Youth Justice Board. 2010: £3000: 'Tools for Music Composition and Performance for All', Knowledge Connect. (PI). Research to explore the potential of music technology for supporting music education for disabled children, with Drake Music. 2009: £300,000: 'MUSKET -Middlesex University Skills and Education Planning Tool': JISC, (PI). The development of automated support for comparing programme and module learning outcomes to support APELand other academic processes. The project developed a number of algorithms based on semantic analysis of course specifications. Provision of consultancy to JP Morgan Chase on component based software practice. Provision of consultancy to JISC on technologies to support service oriented architectures for higher education (E-Framework). Regular invitations to Practitioner forums on Enterprise Architecture. Review of EPSRC research proposals. Co-editing a special issue of the Journal of Software and Systems Modelling on "Enterprise Modelling". Work with the Tata Research, Design and Development Center on a collaborative research project on embedding model driven approaches to managing organisations.